Guest blogging is a strategy where you write for other blogs that could help you get enhanced traffic, quality backlinks, and increased brand exposure. 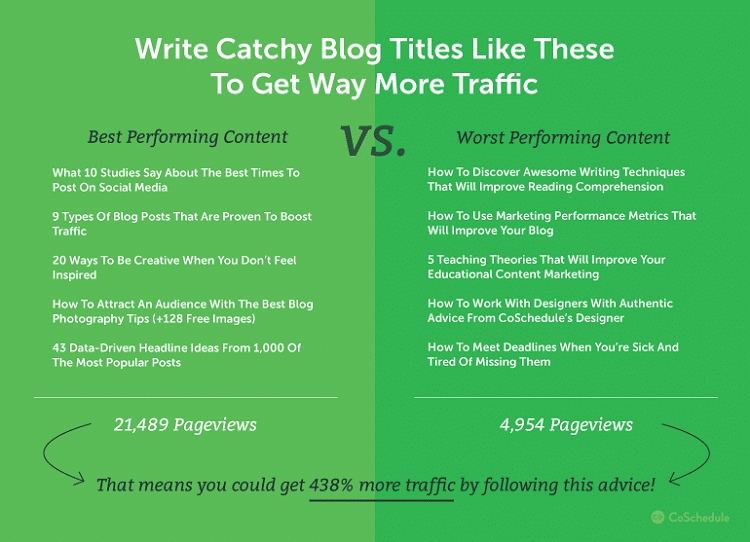 Neil Patel has called guest blogging the best inbound marketing strategy. One guest blogging case study even showed how a blogger generated 30k-plus users for his email list! Convinced, but overwhelmed at how to start your own campaign, what with all the lengthy tutorials out there? Below, I’ll take it easy on the too-much-information part and head straight to actionable steps. Read on as I take you on a beginner’s step-by-step guide to prepare your own guest blogging campaign. Step 1: Recall Your Previous Successful Posts. Some writers disclose the other blogs that they write for, and this can ultimately lead you to an exclusive list of quality blogs in your niche. Google Image search is another way to find more related works of a target blogger. Just go to the author bio in a blog post, copy the URL of the author’s headshot, and paste it in the Google reverse image search box. Hit enter, and you will get a list of sites the writer has also guest blogged for. Take the example of this Copyblogger guest post by BRIAN CLARK. Scroll to the bottom to find the author bio. Right click the image and select ‘Copy image address’. 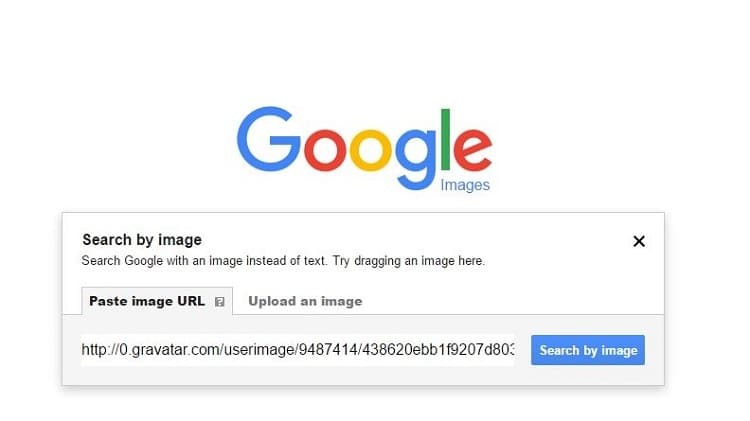 Next, paste the image address to the Google Images search bar. 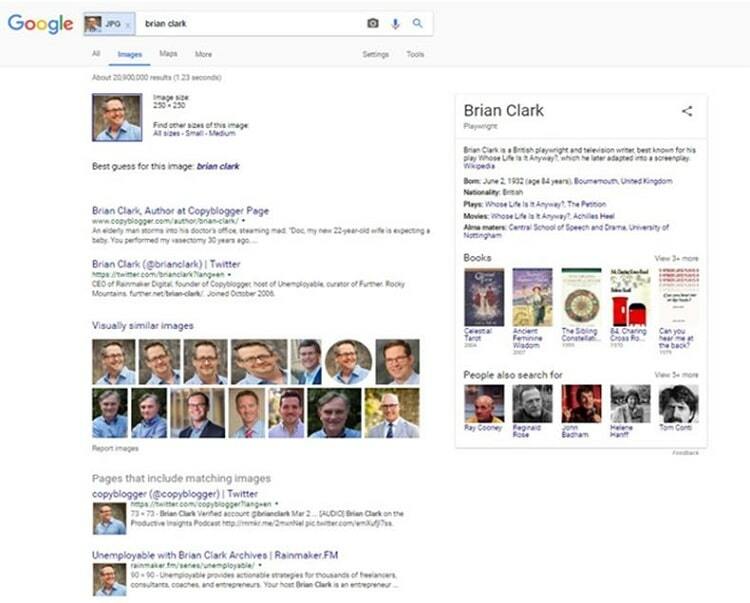 The results will list all the links mentioning Brian Clark, including social media profiles, blogs, and websites. Proceed in the same manner until you build up your list of quality blogs to target your guest posting efforts on. Using Search strings on social media platforms can yield entirely different results. 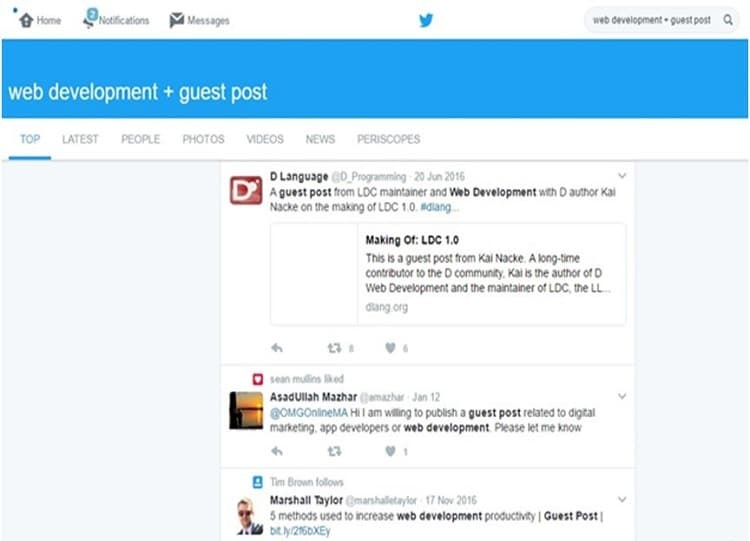 For example, you can type “web development + guest post” on Twitter’s search bar to get guest posts on web development. In the resulting Twitter page, you can single out the best results. You can also use their advanced search feature to refine your search. Follow the same process on Facebook, Twitter, Google+ and other social media platforms to get some quality results for selection. Use a backlink tracking tool like Ahrefs, RankWatch, SEMrush, Majestic & Moz, etc, to track the top referral link sources of your first and second-page competitors.This reverse engineering method will yield some juicy guest posting candidates. Most of the sites that you will find through this process do not actively invite anyone for guest posting, so it’s harder to find them through usual search strings because they usually don’t have a Write for Us page. Most of the sites that you will find through this process do not actively invite anyone for guest posting, so it’s harder to find them through usual search strings because they usually don’t have a Write for Us page. Alltop.com lists quality blogs from assorted verticals. Just type your keyword on the search bar and click your selected niche in the result that appears next. You may then contact the webmasters to know if they accept guest posts. You may then contact the webmasters to know if they accept guest posts. Do you often get comments on your blog posts? If yes, it’s a good sign of engagement and an acknowledgment that your blog is actually being read. So why not go a step ahead and interact with those who comment on your blog? For example, if someone compliments you on one of your posts, why not ask him or her if they would accept your guest post for their site? 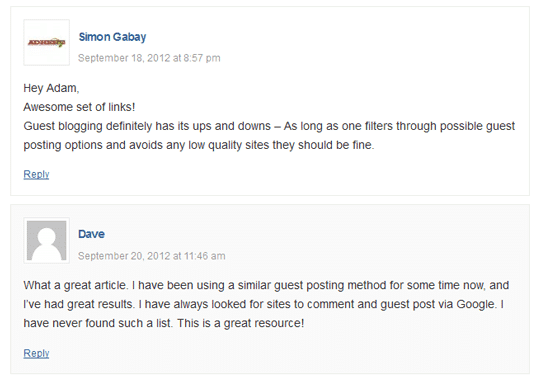 Many thanks for commenting on my guest post at [Example.com]. I never thought about the fact that [write something they mentioned in the comment box]. That’s indeed a valid point. Just let me know if you feel the idea is good enough. I could sent you the post this week. This super tool helps you speed up your guest blogging campaign by letting you do all your prospecting and outreach tasks quickly, easily, all within a single platform. It also has a free chrome extension called NinjaOutreach Lite so you can use some of the tool’s features immediately from your browser, without the need to sign in to the web app. Below is the prospecting tab, which lets you search according to purpose. 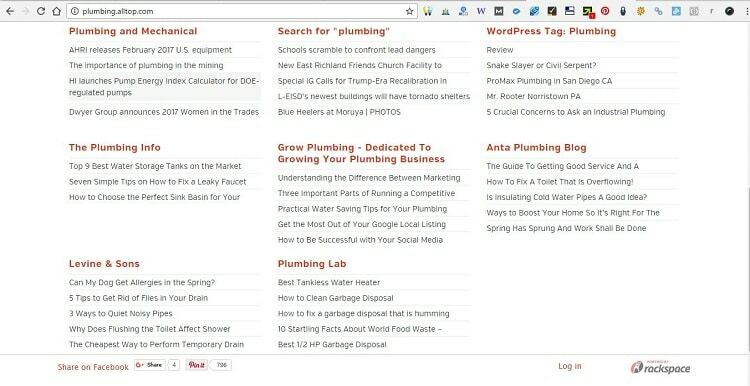 The screenshot below shows how you can use the tool’s Your Prospects tab to search for author prospects. Once you’ve selected your targets, you can label them under the Add Relationship tab to help you remember the actions you’ve already taken for that particular prospect. That way, while in the thick of your outreach campaign, you won’t mistakenly send the same outreach to the same person more than once. The tool automatically crawls for the prospect’s email address so there’s no need for you to do it yourself manually. The tool also has templates you can choose from. Once you’ve set up your list, your next task would be to filter out the list and retain the prospects that will benefit you the most. 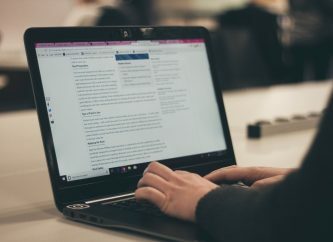 Several technical aspects play an important role in enabling you target the most worthwhile publishers for guest blogging. Here are top three quality metrics to help you identify the quality of a blog. Google Pagerank: Indeed, Google has officially killed Pagerank, its overall authority measuring tool, way back March 2016. 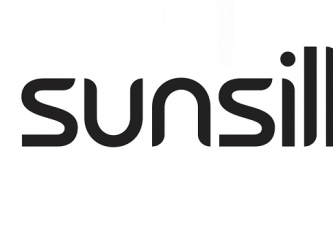 However, we still consider it to be among the best tools to measure and figure out page authority and its linking signal strength in order to select for top notch sources. It comes as no surprise that Google itself is still using this tool, which motivates us to keep embracing it. Google Pagerank tool assigns a particular number ranging from 0 to 10 to the websites that it indexes. Sites with higher pagerank are more credible, trustworthy and authoritative. As per Matt Cutts, the Pagerank toolbar considers both the quality and quantity of incoming links to a site. You can check the PR of a site via a PageRank add-on to your browser. Alternatively, you can also visit websites like PRChecker. Domain Authority (DA): Established by Moz as a proprietary metric, it ranks the quality of a website on a logarithmic scale ranging from 0 to 100. Like PR, the higher the DA, the better. Online tools like MozBar or Open Site Explorer, Smallseotools, etc. can help you measure the DA of websites. 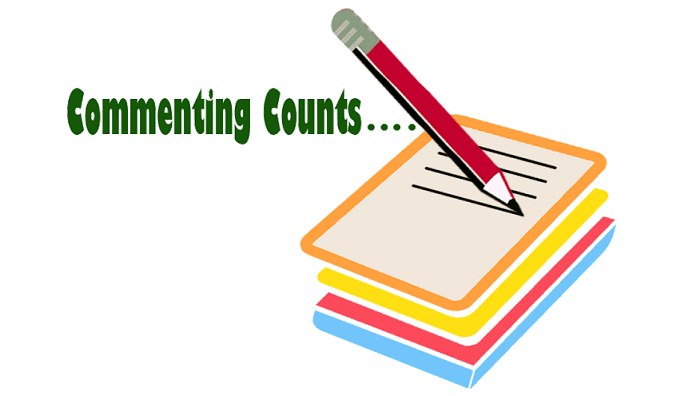 Experts suggest sites with a minimum DA of 40 to target for guest blogging. Alexa Score: This analytics site gives you an idea of the traffic that a particular site receives. Just opposite to PR and DA scores, it has reverse ratings, hence the lower score, the better. For example, a site with an Alexa score below 1000 means it has strong traffic. Other factors like unique referring domains, relevance to your niche, audience interaction, and overall quality of the blog (branding, design, content, online reputation, etc.) also help in effectively choosing a blog to target for guest posting. After refining your list, the next step should be to get into the good books of the target webmasters before pitching. Be a Twitter Friend: Interact with them on Twitter at first, and respond to their tweets positively. Comment on Their Blogs: React to their blog posts. Contribute valuable insights that could get you in the radar of the blog owner. Email Communication: After exhausting the first few outreach methods, proceed to email the site owner. Congratulate him/her for the informative content he/she posted. 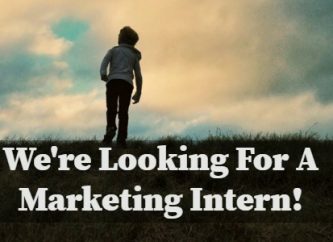 Shoot this email at least a week or two before pitching for a guest post. Find The Perfect Guest Post Topic: After this warming up process, it’s is finally the time to break the ice. You can now submit a killer idea and check out with the webmasters if they would like to accept your guest post about it. Send Relevant Posts: Keep in mind that the topic should be relevant enough. It won’t benefit anyone if you send a post on ‘10 tips to be a pro ping pong player’ to a Soccer inspired blog. Outdated Blog Post: Find a reputable site and look for good posts that are outdated. Write a similar post updated with the latest information. Go Through Published Guest Posts: Most likely, others should have already written great posts on your niche. Take a clue from these posts and come with a new guest post on a similar topic. Try Differently: Alternatively, try to send your target blog a unique post. For instance, if the blog has social media write-ups and already posted two to three articles on ‘Facebook Marketing Tips’, you could provide a guest post on ‘How to become a LinkedIn influencer’. Make an effort to craft a well-written and professional guest post pitch. Below are some outreach practices to avoid. Avoid excessively praiseworthy subject lines. These would do more harm than good to your reputation. “Looking for a guest blogger? I am your lucky charm. Hire Me! Don’t you dare to miss an amazing blogger like me. Hey! I dreamt that your blog got a million views on a single day. Guess who wrote that post. Its ME! So why not transform your dream to reality. Instead, use a straightforward subject line that specifies your intentions clearly. Such as “Request for guest blogging”. These types of email ids are no less than suicidal. They can end your guest blogging prospects before starting. Please don’t use them if you want to go pro. Forget about starting your mail with lines like “To whom it may concern” or “Dear concerned”, etc. A simple “Hi” followed by the name of the webmaster would be fine. For example, “Hi Peter”. See below for an example template. I’m a long time reader. You may have noticed my comment on your post on [name and link of blog post] — (awesome article, by the way). I am one of your long time readers. You may have checked out my comment on your post on “Smart tips for [name and link of blog post]”. It's indeed a great write-up. Inspired by the quality posts on your website [Example.com], I would also like to contribute to it as a guest blogger. I’ll make sure the piece provides all the valuable information that the readers would find hard to get from anywhere else. Just to give you an idea of the quality that I could introduce to your website, Here is a recently published guest post on [Example.com]. It kicks off with something specific about the target blogger’s site. It is concise (wrapped within 150 words). It makes it easier for the blog owner to choose from among the proposed topics. Helps the latter to get an idea of your experience and published posts. 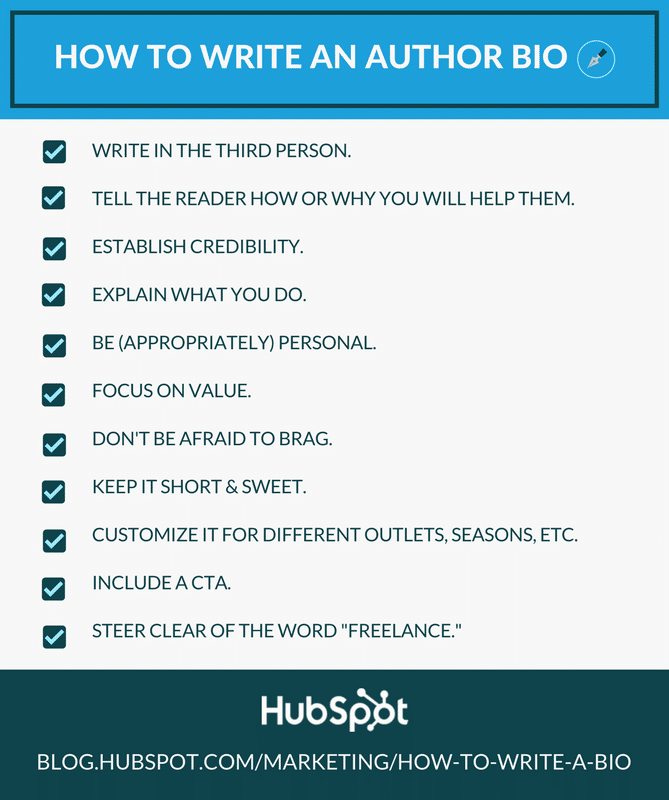 There is no better way to show respect to your target blogger than by reading the guidelines of their website (if there are any). 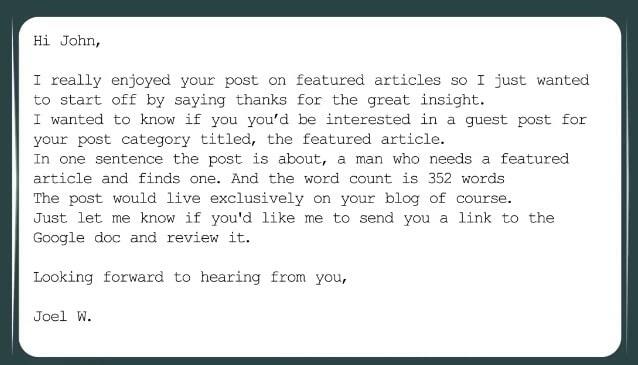 Nothing instantly destroys a good guest posting opportunity than an outreach email or submission that blatantly defies the blog owner’s guidelines. Take note if the webmaster wants you to pitch an idea first, or directly submit a complete post. There might be certain guidelines about the format of the post, topic preferences, linking guidelines, and so on. For more examples, the image below from coschedule compares the best performing and worst performing titles. As per research by blogging experts, titles that could trigger the emotions of the readers are most likely to succeed. For instance, Neil Patel talks about five key elements that help the guest posts to get maximum shares on social media: Curiosity, Amazement, Interest, Astonishment, and Uncertainty. Using certain words have the tendency to enthrall the audience. The free guide below gives you top 500 words that create a stir among the minds of the readers instantly. Several websites like Copy Hackers, Michael Hyatt, Crazy Egg, Copy Blogger, Jeff Bullas, Brain Traffic, etc., provide you with useful headline templates. If you are running out of ideas, these custom-made headlines can help. 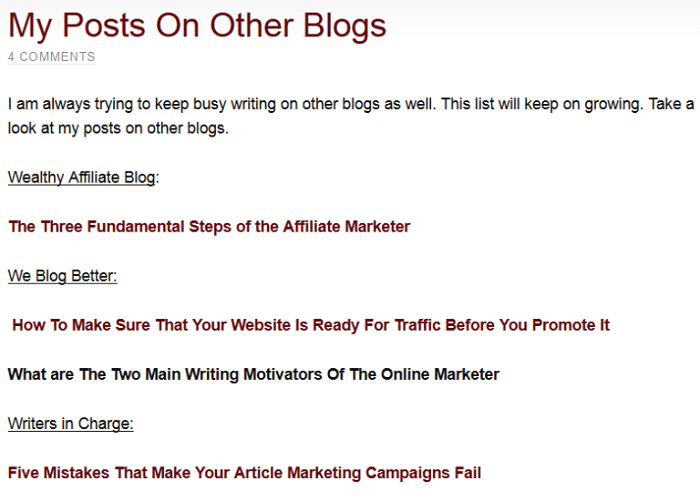 Below are some blog title generators from authority websites. Writing a guest blog requires you to set a goal before proceeding. There is an end goal to writing content for other sites. You either guest post to establish yourself as a trustworthy resource, gain subscribers, anticipate business opportunities, and so on. Setting S.M.A.R.T goals strategy (Specific, Measurable, Attainable, Relevant, and Time-bound ) is something you should look at. Before writing your guest post, you need to be clear about your approach. Determine the pros and cons and the resources you have to write a tutorial, an ultimate guide, a detailed case study, or concise step-by-step guide. A thorough background research is par for the course. So as not to appear amateur, stop talking about what you think should be done and instead, support statements you make in your guest post with relevant case studies. Any article worth its salt should be supported by strong, authoritative sources, and case studies make for compelling support. Adding this sort of backup to you article’s arguments make your statements more believable. For example, you can say with more authority that clearer email subject lines lead to more opens if you have a case study example where you find that 80% out of the 3500 emails you send per month for a period of 1 year showed you this data. In one of his posts, Bamidele Onibalusi of the WritersInCharge blog shares details about his own guest posting strategy. He cites each of his own guest posts as each case study and complements with screenshots of their Google Analytics stats, thus showing how these guest posts contributed to the massive growth in his audience. Also, he notes that most of his example posts that did really well are case study type articles. A case study article about how well case study type articles performed. How meta! Say (and prove) more with images instead of words. Instead of simply saying something happened or is true, screenshots of your step by step processes are better. There are various free tools online. Some of which I would recommend are Snipping Tool (Windows, Free), Skitch (Mac, Free), and Jing (Windows/Mac, Free). Don’t forget to include an appeal or call to action for comments. Engagement will help increase the visibility of your guest blog. Provided the blog you are guest posting for allows it, your guest bio is where you can promote yourself, your website, or put in links that are important to you. If you want decent traffic, include the link to your custom landing page or the product page. Share your guest post on all the major social media platforms like Facebook, Twitter, LinkedIn, Reddit, etc. You can share the blog with your email subscribers and request close contacts to share it on their personal profiles. Interact with your readers. Identify the readers who comment on your blogs regularly. Visit their profile, browse through their blogs, and find out any post relevant to your niche. Leave behind a thoughtful comment on their post to ensure a two-way engagement. So there you have it, a beginner’s step by step guide to guest blogging. Should you wish to add to the tips already mentioned here, you can always type in your suggestions in the comment box. Until then, Happy Guest Blogging! Ram Babu is a Digital Marketing Specialist at Techies India Inc. and is a Technical Search Contributor at RankWatch, one of the prominent SEO tools among digital marketers. He owns SEOBookLab.com and is also SEO Manager for Code&Co, Big Slate Media, and Agile Continental. Follow Ram at @RamBabuSEO.